Whether buying or selling, our team understands that this is a very important time in your life…that is why we are one of the highest ranked real estate teams in the region. Simply stated; we are MATCHMAKERS – we match people with homes! First-Time Seller Program – Remember the butterflies in your stomach when you were getting ready to buy your home? Now you are ready to sell your first home (and possibly buy another one), and we are here to help. Our program is designed to walk you through the entire selling process and address all of your questions. First-Time Buyer Education – What happens next? That's the most common question in the buying process. Our team members will address all of the FAQ's at the start of your home buying experience in order to make sure you are have all the knowledge needed to make the best possible decision. Military Friendly - We are grateful to those who serve our country and well-versed at servicing active military members and veterans throughout the world. Now it's our turn to serve you! Robert is a certified Military Relocation Professional (MRP). Divorce - We understand that a change in your relationship can be stressful. Our team will utilize communication methods which are sensitive to your needs, and work to reduce your stress. Short Sale Consultation – Owe more on your home than it's worth? We work closely with a local attorney (at no cost to you), and have successfully helped countless homeowners move forward. Robert is a certified Distressed Property Expert (CDPE). Estate - The loss of a loved-one and the sale of a property may have significant emotional and financial considerations. Our system will streamline the sale, and keep an open line of communication with those who matter most. Live Out of Town - We can facilitate the sale of your property without you incurring the cost or inconvenience of a plane ticket. Previous clients have been wow'd by our system! Robert also holds a Master's degree in Business Administration (M.B.A.) from Temple University and a Bachelor's degree (B.A.) in Accounting from the City University of New York. Robert's team is consists of full-time industry professionals dedicated to providing the best possible service to you during this special time. "After two unsuccessful attempts to sale my home with realtors who really didn't have me in their best interest, I came across Robert's website. His stellar reviews and comments from his clients resonated with me and I decided to give him a call. From the very first conversation we had I knew that he was the man for the job! His positive outlook and prompt returned calls reassured me that he was vested in my situation. I am glad to say that he got the house sold! Robert is a man of his word and I would refer him, without hesitation, to friends and family. Thanks Robert! " 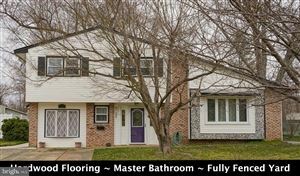 "We were so glad we picked Robert out of the three best realtors of south jersey that we interviewed. We had our house listed and had offers the first week of showing. The photographer did an excellent job and Robert 's professionalism and marketing strategy did really work. Kudos to Robert and his team members who worked with us all the way until final settlement. The transition could not have been smoother without Robert's responsiveness, negotiation skills and process expertise. We would highly recommend Robert to anyone in need of a proactive realtor- someone who always calls you back! Thank you Robert!" " Your knowledge of the entire real estate industry as well as the local market led to a quick and professional sale. We’ve bought and sold several properties together and you always come through like a rock star! You’re the best!! " "Robert and his team were a tremendous help with the selling of one of our properties. Their knowledge in the real estate industry and local market made the entire process quick and easy. Robert and his team are also very diligent and prepared for any situtation as well. If a buyer withdrew at the last moment, then the team was ready to call other potential buyers at a moment's notice. They really do guide you in the real estate industry in a friendly, professional manner. I would highly recommend Robert to anyone who is need a proactive and knowledgeable realtor. Once again Robert, thank you for all your help!" "I called Robert out of the blue just hoping that he could sell my home. his marketing skills were terrific and we closed the deal within no time. I would recommend Robert and his team highly! " "Robert was extremely helpful and supportive throughout the entire process. His expertise and guidance were invaluable. I had never sold a home before and he was able to guide me through every aspect of the sale and really helped reduce the stress! " "After seeing so many positive reviews, we enlisted Robert to sell our house. He inspired so much confidence on our first meeting that we also asked him to be our buying agent. Robert is very easy to work with, easy to contact, and thorough in his job. Not only did he listen to our concerns but he was always reassuring. Despite several hurdles, Robert persevered and helped us get what we wanted. We recommend him for both buying and selling." "Robert is professional yet connects with you on a personal level. We were very selective about certain things and he understood what we wanted and helped us find it! He is patient and ALWAYS calls back unlike other agents in the area. It was very fun process working with him and viewing houses."